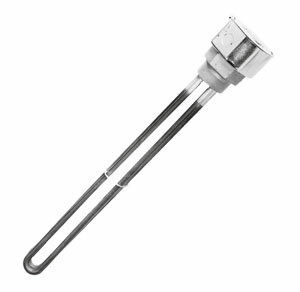 The OMEGALUX™ CH-SD Series features a compact 3 element heater design with a 2" brass screw plug. The Incoloy sheath allows compatibility with difficult clean liquids. A popular application for CH-SD Series is heating for industrial dishwashing equipment. Screw Plug: NPT brass 2"